Experience the ultimate in luxury living at the Richmonde Hotel Ortigas, located at the heart of Ortigas Center, Pasig, Manila, Philippines. With the Richmonde Hotel Ortigas’ extraordinary way of pampering, you’ll hardly feel away from home. With every stay at the Richmonde, experience a distinctly indulgent and comforting atmosphere where your every need is personally met. With our efficient and friendly concierge, professional housekeeping services and other special courtesies, we make you feel the extra attention that touches you from the start to the end of the day… the Richmonde way. 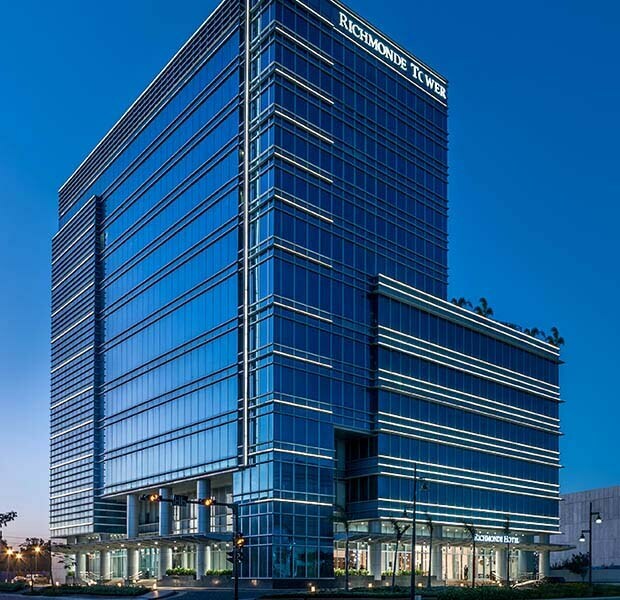 The second addition to the Richmonde Hotel brand comes to the ever exciting community of Eastwood City in Quezon City, Metro Manila, Philippines, completing this township’s mix of establishments and answering the lodging needs of business and leisure travelers in Manila. 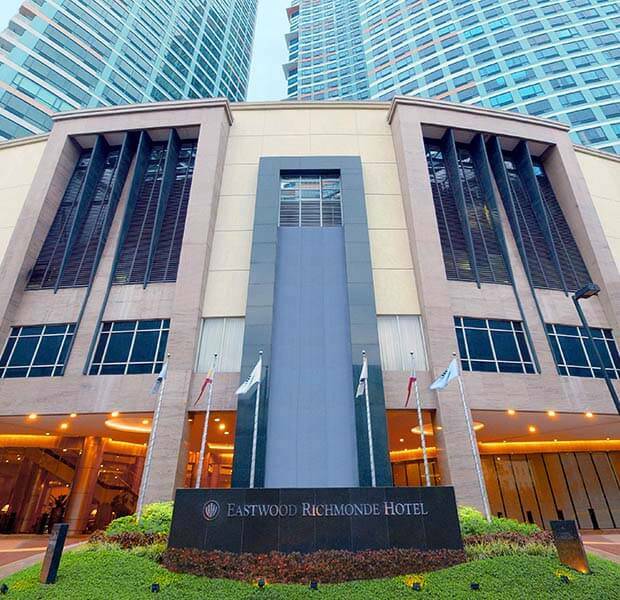 Eastwood Richmonde Hotel provides lavish comforts that epitomize sophisticated living—from its stylish designs and splendid amenities, to its gracious staff that provide top-notch service that is always warm and sincere. Indeed, the “Distinctly Richmonde. Distinctly Personal.” standard and aspiration of the Richmonde brand continues in Eastwood Richmonde Hotel. 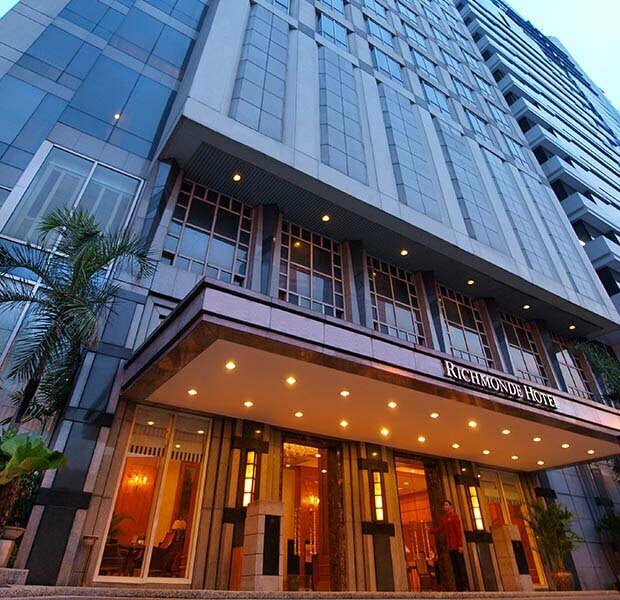 The newest addition to the Richmonde Hotel brand opened its doors to the public last July 2015. Located within the Iloilo Business Park development of Megaworld Corporation, Richmonde Hotel Iloilo aims to satisfy the boost in business and leisure travel to the region expected in the next few years.